So i went with the simple things in life and most times they are the best ! - My nephews - OMGoodness I love them to bits and they are such a big part of my life, they remind me that life is meant to be fun and playing in the leaves, looking for bugs, eating play dough and getting sand where its not supposed to be is what life is all about - well it is when you are 5 and under or you are a 36 year old that acts like you are still a kid :) I actually tasted play dough...I don't recommend it....really salty.... yuck.... now I am picturing all you with access to play dough having just a nibble Hahahahahaha...don't say I didn't warn you ! What more can I say .... Crochet - I love it ! Yarn - well you didn't think I would leave that out did you ? Oohhh yarn how i love you so ! I am a huge fan of Red Heart and in particular the super saver, its cheap and can be used for so many projects. I love all yarns and my fav colour is the Red Heart super saver turqua ...mmmmm... so pretty ! The Wollen Mill is located in a historic gold mining town called Bendigo, North of Melbourne. 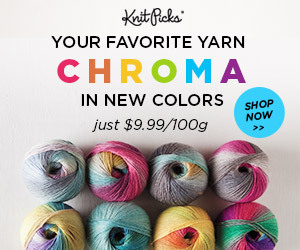 Australia's largest manufacturer of hand knitting and crochet yarn. The yarn is available in 200 gram balls - normal balls are 50 - 100 gm and the most exciting part is if you spend $50 AUD or more there is free postage with any order sent within Australia !! Yipppeee !! Bendigo Wollen Mills also ships international !!! YAY so even our long distance friends can sample their yarns.